If you have been looking for a way to supplement your regular income, then the internet is one avenue you should consider. There are several ways to make money online. Though most such opportunities are outright scams, in this blog I present information on how to make money online in a legitimate way. When I come across an opportunity, I do a thorough research on it and present it here for my readers to earn online. Today, I want to introduce you to this reliable online money making a blog called, Blog9ja. Blog9ja is a blogging platform designed to help Nigerians, Ghanaians, and South Africans get value by reading daily news and still get paid for it. Sharing a Sponsored Post to Facebook earns you N50: There are special posts on Blog9ja called sponsored posts. These are kind of promotions published on the site for the members to promote. Note that a sponsored post is valid for only 24 hours i.e. there is a sponsored post for a particular day. In other words, you can earn from a sponsored post that is released for that particular day that you share it. If for example, a sponsored post is released today, I can only earn from it if I share it today. By tomorrow, the post must have expired, so that sharing it will not earn you anything. At the time of writing this post, for each sponsored post you share, you earn N50. 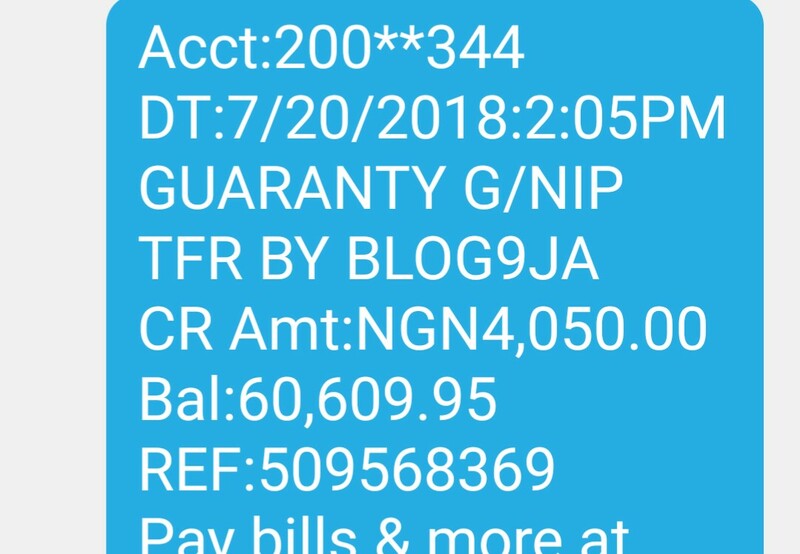 Do this twice in a day and you earn N100. 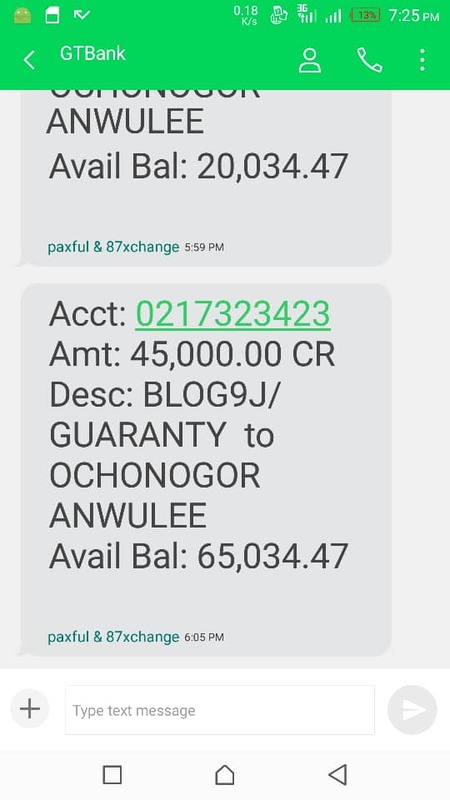 Let's say you are able to do this every day of the month, you earn N50 multiply by 30 and this gives you N1,500 just for sharing and tagging friends on Facebook. 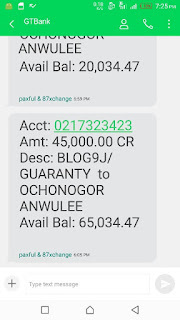 Each post/news you read and comment on earns you 5 Naira: Amazing, right? Imagine being able to post 1000 comments in a month with each comment valued at N5, that's a whopping sum of N5,000. Something that can be done in a jiffy. Although, at the time of writing this post, there is a limit on the number of comments you can post in a day. You are allowed to post a maximum of 20 comments per day. Refer a friend and earn N800 instantly: Yes, you got me right! For every friend you refer to sign up as a premium member on Blog9ja, you earn N800 immediately. 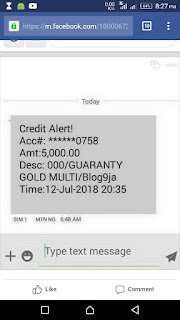 Let's say you refer just 5 friends daily, You can earn N800 X 5=N4000 daily, and when we multiply this by 30 days, that's N120,000 cool cash from the comfort of your home using your mobile phone or laptop. Blog9ja pays all her members weekly. Once a member reaches the payment threshold, which is N4000, you'll be paid. Need I say more? From my above explanation, you see that you can be earning passive income just by reading news on Blog9ja and engaging in fun activities. with or without referral. How Much Does It Cost To Be A Registered Member of Blog9ja? Registration is free but to be able to earn from your activities on the platform, you must be a premium member. You can become a premium registered members by activating your account with a sum of N1400 only. 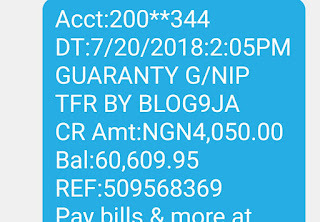 Once your account is activated, you will start making money immediately. 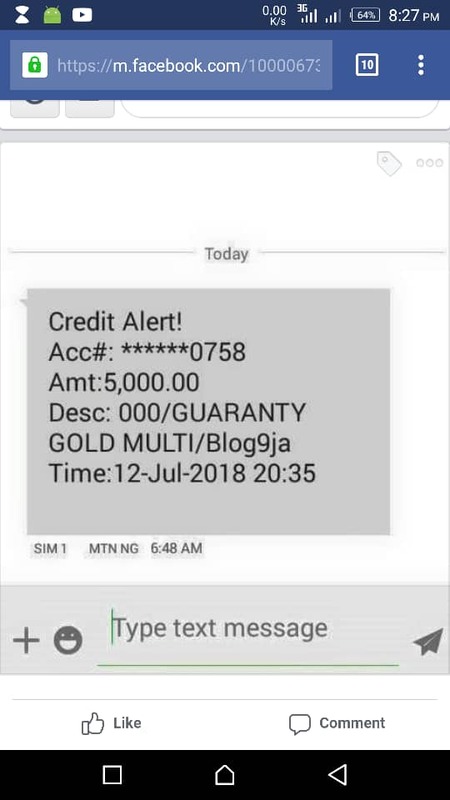 Has Anybody Received Payment from Blog9ja? Testimonies of people who have been paid by Blog9ja abound everywhere. Time and space will not permit me to upload many screenshots here, because too many pictures loaded here will reduce the loading speed of my website. Take a look at these few ones below. Only rich people make money, poor people just stay poor.